We’ve previously explored data from talent management company SilkRoad indicating that employee referrals were the top source of new hires. In the new year, as talent shortages continue to create stress for HR and recruiting professionals, they’re looking for ways to get ahead in the war for talent. New data on recruiting trends indicates that the employee referral method of sourcing qualified, culture-matched candidates continues to outperform the others. A recent survey of over one thousand talent acquisition professionals clearly ranks employee referrals as the most powerful tool in hiring. Why? Let’s take a closer look. Recruiting analytics firm Entelo completed a survey revealing insight into the state of talent acquisition, including some key findings that point to the strengths of employee referrals as a sourcing method. These results, published as the 2018 Recruiting Trends Report, provide valuable takeaways for HR and recruiters as they struggle to locate and attract qualified talent. In a notable data point that may not surprise recruiters, Entelo found that sourcing talent is a top priority and also a major time sink for talent teams. “Approximately 1 in 4 (27%) respondents report spending half the work week (20 hours or more) sourcing for just one role,” they found. While not surprising, these findings indicate a disturbing trend – the growing amount of time it takes to find qualified job candidates. Recruiters deserve better, and subsequent insights may point the way toward a solution for their sourcing woes. Source-of-hire is a recurring preoccupation for talent teams seeking the most effective and efficient ways to find and engage candidates. Entelo’s data confirms that the old ways of recruiting continue to fall out of favor in this regard. In fact, 54% of those surveyed ranked traditional third party sources such as agencies, consulting firms, and talent marketplaces the least effective sources of new hires. Which method rose to the top? 78% of respondents agreed that employees make the best recruiters, naming employee referrals their most successful source-of-hire. There’s no substitute for a personal connection when it comes to gaining the upper hand in the war for talent. 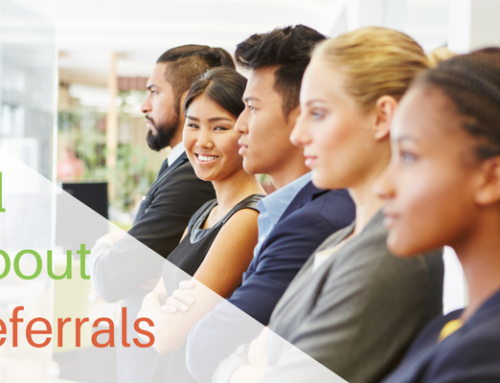 Through employee referrals, companies can deputize their current employees as front-line recruiters and ease the burden on HR while delivering exceptional results. That’s why so many recruiting professionals have identified referrals as their most preferred source of new hires. When companies allow their best and brightest to identify and reach out to possible candidates, they benefit from qualified, culture-matched candidates who have a personal connection to their company. Referred candidates have been found to require less time to hire and to stay in their new position longer than those who are hired through old-model methods such as job sites or third party recruiters. Referrals also impact employee engagement and retention by giving existing employees the ability to act as agents of change for the organization. Entelo concludes that companies should “ensure you’re not wasting money on sources that aren’t delivering and instead use your resources to empower your internal team of brand ambassadors, your own employees.” It’s a proven approach that the team at JobShakers has made even easier through our innovative employee referral program solution. In our technologically connected age, companies that want to get ahead must embrace a mobile, social recruiting approach that appeals to today’s employees and job seekers. Our referral platform and mobile app make it easy and intuitive for employees to submit referrals and for referred candidates to apply for open positions. Meanwhile, recruiters can monitor and engage in the hiring process from our comprehensive referral platform, which automates repetitive tasks so that their energy can be spent where it’s most needed. Another key finding from Entelo’s survey that validates recruiter’s need for a modern technology solution is the desire for greater automation of the recruiting process. 48% of respondents agreed that prompt communication was the most valuable way that automation could impact the recruiting process. With JobShakers’ automated responses and notifications, talent acquisition professionals can rely on prompt communication to cement a candidate’s interest and participation in the referral process without adding to their daily To Do list. JobShakers’ commitment to easing the burden of sourcing and hiring exceptional candidates doesn’t end there! 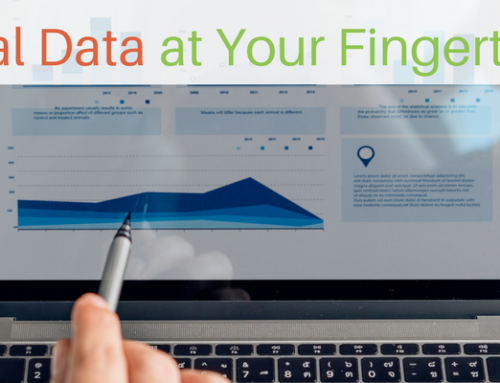 With our built-in data tracking and analytics features, recruiters have immediate access to the metrics they need to demonstrate and fine tune their employee referral program results. We’ve created a referral platform that makes the top source of hire more effective and efficient than ever before. Are you ready to embrace the new year with a proven and innovative approach to sourcing candidates through employee referrals? Contact us today to learn more!